Google is very conscious and worried about Internet security. It has invested plenty of its money and resources to ensure that its services make use of the best and most advanced security features. A good HTTPS encryption is something that Google considers to be very important when testing websites. As we know that HTTP or Hyper Text Transfer Protocol is the protocol by which world wide web communicate. So it is the base of the Internet. It helps to communicate the server and browsing PC. But as because the information sent over this protocol can be viewed by some, So there is a secured protocol is there called HTTPS. It encrypt the information to communicate so that hackers were unable to read the exact information. Google is working hard to ensure that the Internet is safe for everyone. Thus, it wants to make doubly sure that websites that people search for and visit are absolutely secure and safe. Towards this end Google has created a bunch of resources that make it easy for a Webmaster to prevent and also fix breaches in security on their websites. This is why it has come up with a concept called HTTPS everywhere. The good news is that an increasing number of webmasters are choosing to use HTTPS on their websites. In the recent past, this major search engine has run a few tests to find out just how secure websites are. It has also made use of encrypted connections as signals in their search ranking algorithms. The results that it saw were very positive and this has encouraged it to make use of HTTPS as a ranking signal. At present, this signal is very lightweight and it only touches less than one percent of worldwide enquiries. This signal does not carry quite as much weight as high-quality content and is meant to work as a stopgap arrangement till such time as webmasters get the time to make the move over to HTTPS. 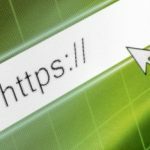 Of course, as time passes Google will strengthen this because it wants to ensure that website owners are encouraged to make the move over from HTTP to HTTPS. 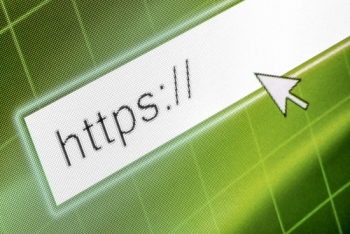 The switch to HTTPS will keep everyone safe and secure while using the web. Google uses HTTPS as a ranking signal in real time. So, the minute Google has indexed your new HTTPS URL, that particular URL will instantaneously get a better ranking – although the improvement may only be very slight. The reason for this boost is of course the use of HTTPS URLS. The jump in ranking will not be very major and in fact, the only change that will take place as far as your site’s rankings go is that instead of jumping from 3 to 2, your site will only perform better in the overall ranking algorithm. If you would like to use HTTPS then there are certain things that you will need to keep in mind. To start with, you need to make up your mind regarding the kind of certificate you would like to use. There are a few options to choose from including single and multi-domain as well as wildcard. Secondly, you need to start using 2048-bit key certificates. Thirdly, when resources are residing on one secure domain then you should make use of relative URLs. Fourthly, for all your other domains you should make use of protocol relative Uniform Resource Locators. Also, do not try to block your HTTPS website from crawling with robots.txt. If your site is serving on HTTPS then you can easily test the site’s level of security and configuration with a special tool called Qualys Lab. To Implement the https protocol you need to buy a SSL (Secured Socket layer) certificate. There are many SSL providers. Godaddy, Network Solution, Norton, Comodo etc. You can find the more information that how can you implement the SSL Certificate on their website and more point to point instructions after purchasing a SSL.